The owner, Riccardo Radaelli, thanks to the wealth of experience he has acquired over 30 years in the business, is considered to be one of the world’s most knowledgeable experts on the vintage and collector’s watch market. His involvement in this area stemmed from his deep and true passion for the watchmaking industry, supported by many years of study, travel and research in an international market. 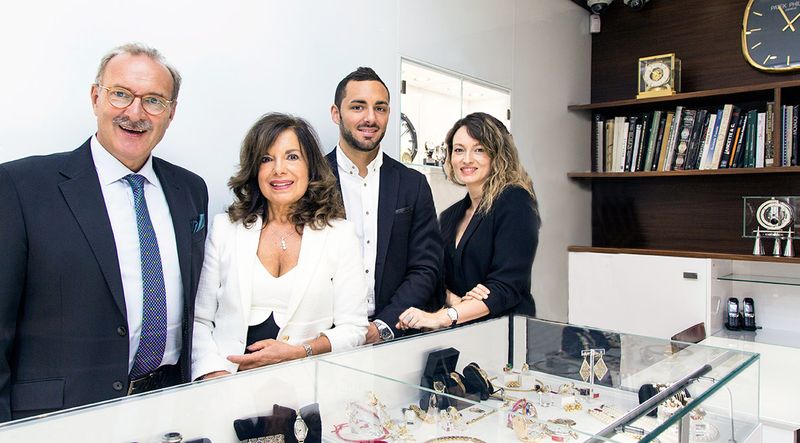 With his son, Filippo, and a competent team of staff alongside him, he offers his customers the best advice on which watch will best suit their requirements. The extensive collection offers a wide range of models to choose from, granting the wishes of every customer who is passionate about this wonderful world of watches. Mechanical reviews, restoration and polishing of vintage watches. On the lower ground floor of the renovated store is the ‘’Collector’s Corner’’, where many different curiosities and rare pieces are displayed: a selection of vintage table clocks, Dunhill, Dupont and Cartier lighters, prestigious collector’s pens by Montblanc, Aurora, Parker and Sheaffer, cameras by Leica, Nikon and Hasselblad, typewriters, National cash registers and many other rare items. This varied range makes the Watch Center a unique and unrivalled establishment. The store is unique because it not only sells vintage, new and second-hand watches, but also buys and exchanges them. Every item available for sale is inspected and restored by experienced specialist watchmakers, who ensure that the originality of the piece is retained and that it carries a certificate of guarantee, valid for one year. A special section with select vintage and modern jewellery in a refined and elegant style completes the range of items available from the Watch Center. The Watch Center has been a "Trusted Seller" for 10 years on Chrono 24, the largest online marketplace for watches. It has also been a member of the renowned IWJG, International Watch & Jewelry Guild, for 25 years. We speak Italian, English, German and French.